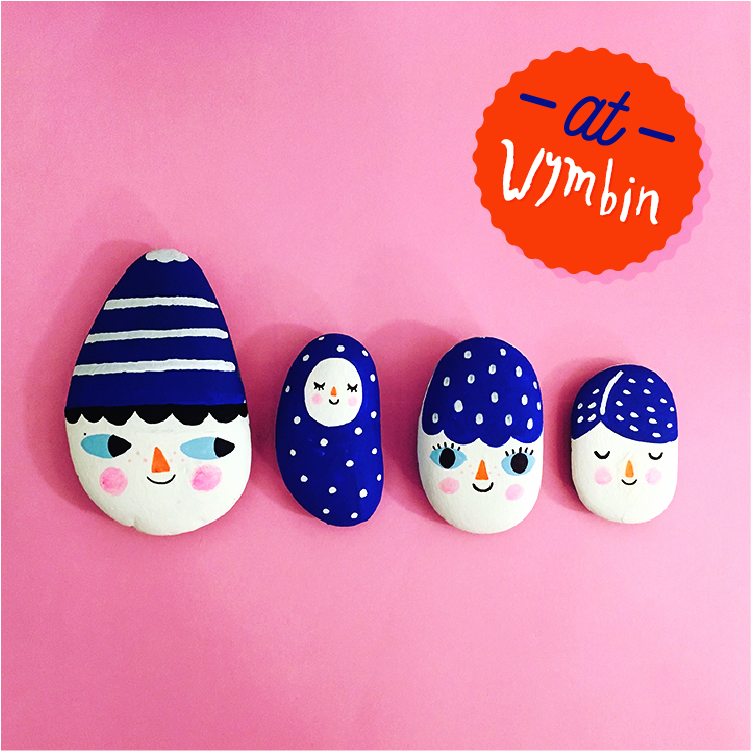 For this workshop we will be painting a Little Rock Family! Children will be provided with a set of 3 rocks with varied shapes and sizes and they will have to illustrate each rock as a character to make up a little family. For this workshop we will be creating super fun animal masks with cut cardboard and acrylic paint with finishing details in crayons. For this workshop we will be creating Christmas-themed gift-cards with cut paper and pencil crayons. For this workshop we will be creating little elf cut outs with cut paper and pencil crayons. For this workshop we will be creating a large-scale illustration using cut paper, pencil crayons and geometric stencils. The idea is to create a Christmas-themed character illustration solely out of geometric shapes. This workshop is inspired by the children's book The Smallest Girl In The Smallest Grade, illustrated by Christian Robinson. The children will get an introduction to the book and will then work on a mixed-media Happy Children garland. For this workshop we will be making winter-themed, 3D cardboard cut-outs, for a winter wonderland display. For this workshop we will be painting our own retro peg-dolls! Each child will receive a boy and girl wooden peg doll to paint and take home as a toy or decorative item. This workshop is part of a series of workshops held at St. Patrick’s Island, in East Village Calgary in collaboration with CMLC. For this workshop the children will be creating a happy fruit character illustrations using cut paper, white paint and pencil crayons. This workshop is part of a series of workshops held at St. Patrick’s Island, in East Village Calgary in collaboration with CMLC. 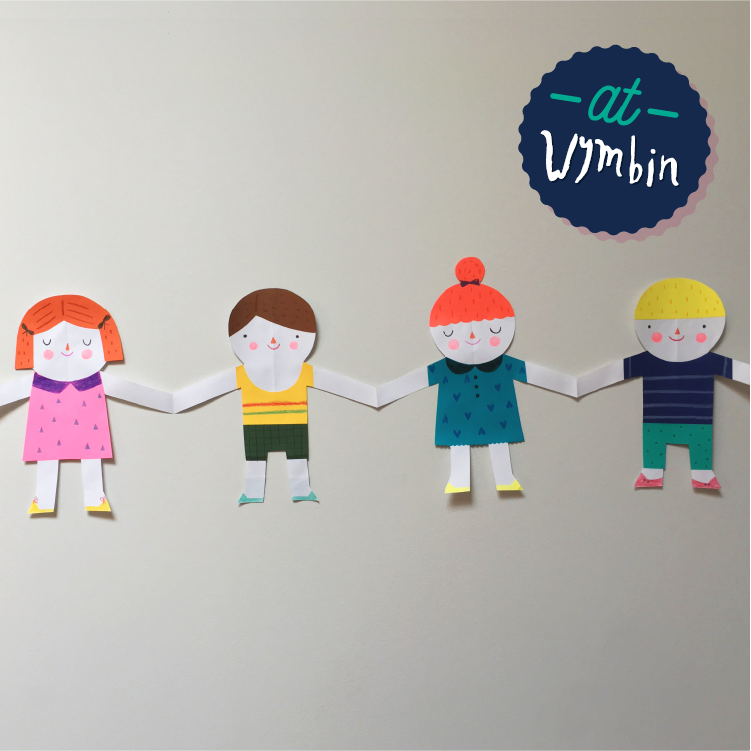 For this workshop the children will be creating a garland of happy children with cut paper and crayons. This workshop is part of a series of workshops held at St. Patrick’s Island, in East Village Calgary in collaboration with CMLC. For this workshop the children will be creating a fun, summer-inspired illustration of stacked ice-cream scoops, that they will then turn into individual characters. This workshop is part of a series of workshops held at St. Patrick’s Island, in East Village Calgary in collaboration with CMLC. For this workshop the children will be creating summer-themed mobiles out of cut paper. They will then add details and/or faces to their mobile pieces. Back by popular demand: Cats! For this workshop we will be painting a graphic cat illustration using acrylic paint and pencil crayons! For this workshop we will be creating a mixed-media illustration of kitchen characters. The children will work on creating various textures on paper using acrylic paint, which we will then use to cut out for our kitchen characters. We will add details and face expressions with pencil crayons. For this workshop the children will get an introduction to stop-motion animation and will be creating their own animations using cut paper elements. Final animations will be sent out by e-mail following the workshop. For this workshop the children will be creating a jungle-themed illustration using watercolour and pencil crayons. For this workshop the children will be working on a fun architectural illustration using paper collage. For this workshop the children will be creating a circular pattern, which they will then turn into characters using mixed media. For this workshop the children will be working on a mixed-media illustration of fruit characters. They will first create various textures on paper using watercolour paint, which will then be used to cut out for our final characters. Final details will be added in pencil crayon. For this workshop the children will be working on a mixed-media cat illustration of their choice. They will begin by creating various textures on paper using watercolour paint, which they will cut out to create their illustration. Details will be added in using pencil crayons and paint.